My curiosity in science and exploration is ingrained in growing up in the shadow of American space exploration. My father had management roles in all U.S. led space programs, and I distinctly remember experiencing the excitement of U.S. leadership first-hand as I watched the X-15 drop from the wing of a B-52 in test runs in the Mojave Desert, marking the beginning of our space pioneers’ first ventures into the edge of space. Times have changed since those initial tests, but the American spirit of exploring the unknown remains the same. With the development of the Powerhouse Science Center underway, youth from around the region will have access to high quality STEM resources that will empower them to pursue the wonders of space and technology as I once did. The Powerhouse Science Center will bring new life to a building and area that has been underutilized for many years. The 50,000-square foot campus will serve as a catalyst for the City’s plan to revitalize the riverfront by bringing in visitors near and far to engage with its exhibits and educational resources. 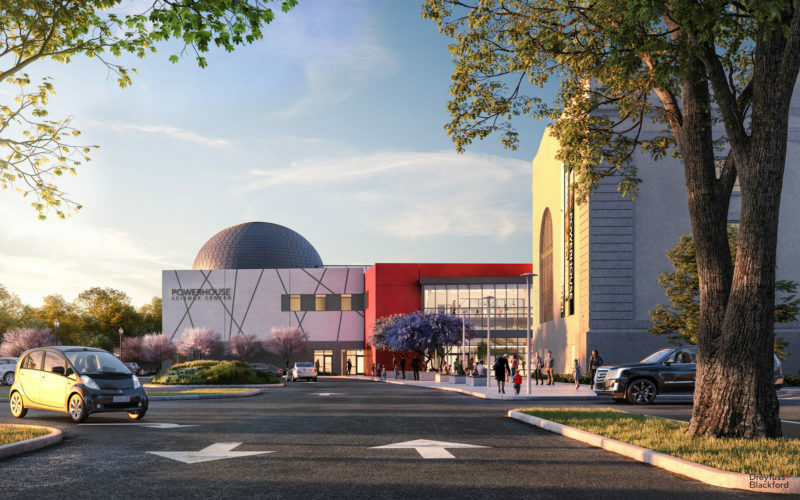 The center’s extensive school partnerships and educational programs will utilize its 22,000 feet of exhibition space and state-of-the-art digital planetarium to reach tens of thousands of schoolchildren around the region annually by promoting excellence in STEM education. Aesthetic improvements to this portion of the riverfront will also create a unique landmark that will serve as a space where the community can gather for events throughout the year. The center’s location in the River District, which is currently undergoing its own transformation into a mixed-use urban community, will create a cohesive environment where students and professionals can live, work, learn, and play. Investments such as the Powerhouse Science Center are key for spurring greater economic development opportunities for the region by diversifying the local economy with an expected annual impact of $34 million. Such a valuable cultural asset will help our region define itself as we go through our 21st century transformation and develop a workforce with the skills to continue moving our regional economy forward. This project goes beyond a building in The River District, it is about a region coming together to provide a center that inspires our youth to be creative and imagine a future for themselves in our region.